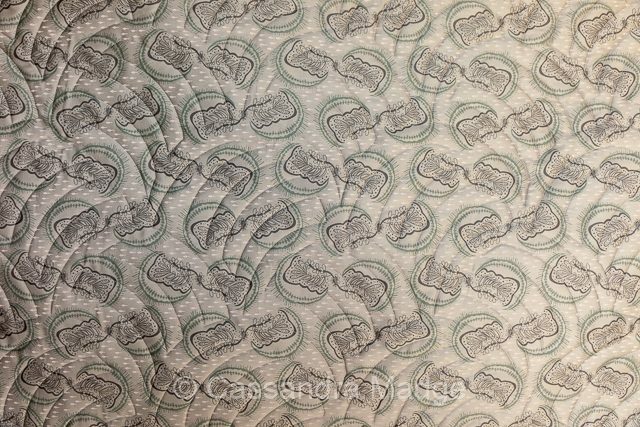 I have been so busy with customer quilting lately that it has caused a slump in my own quilting. 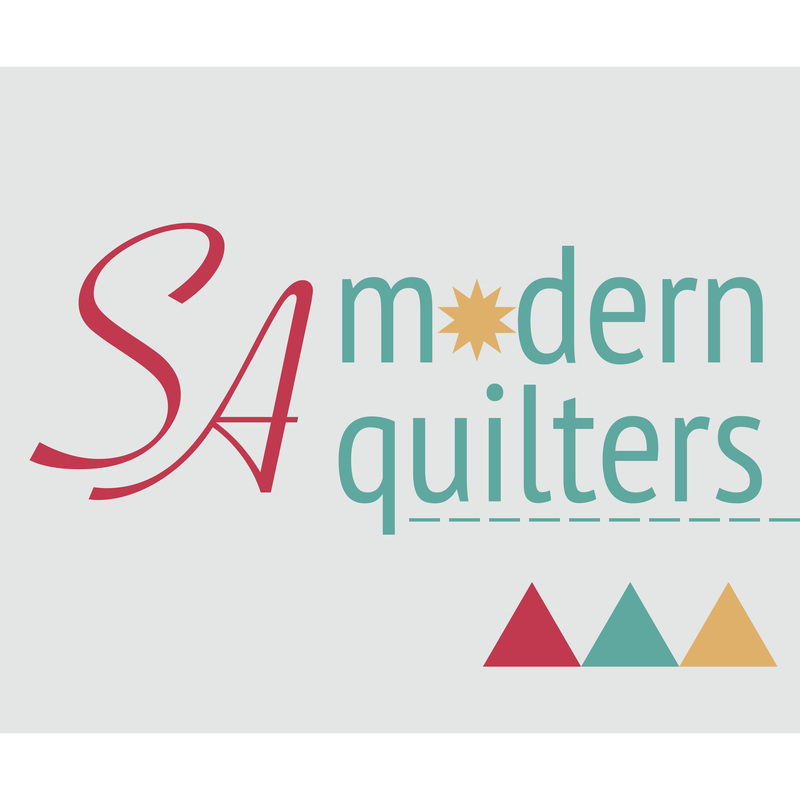 But when I get to help my customers finish their quilts and tell their stories, then really I think I still have the best job in the world! 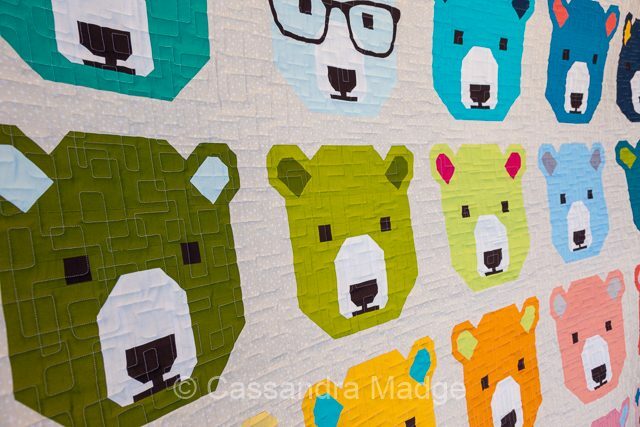 For example, check out these two beauties!! 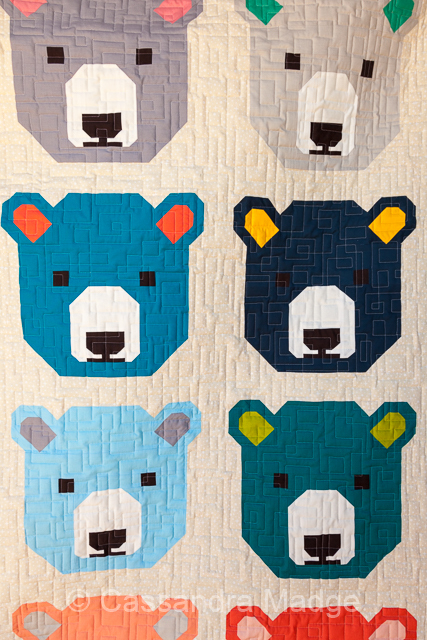 Elizabeth Hartman Bjorn Bear Pattern was stitched up by Barb, one of my most prolific quilting customers and who does impeccable work! 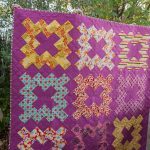 Barb chose to use an organic square stipple that I freehand quilted over the entire quilt. 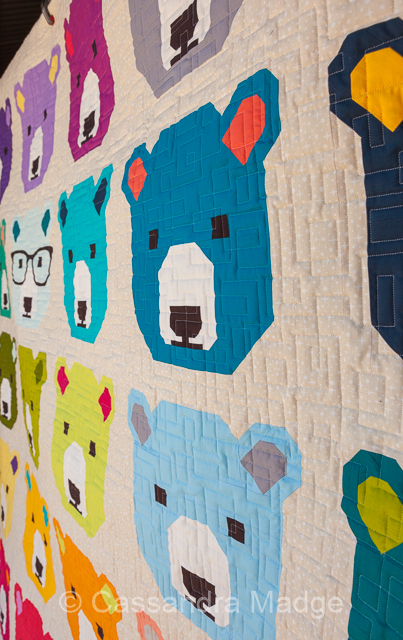 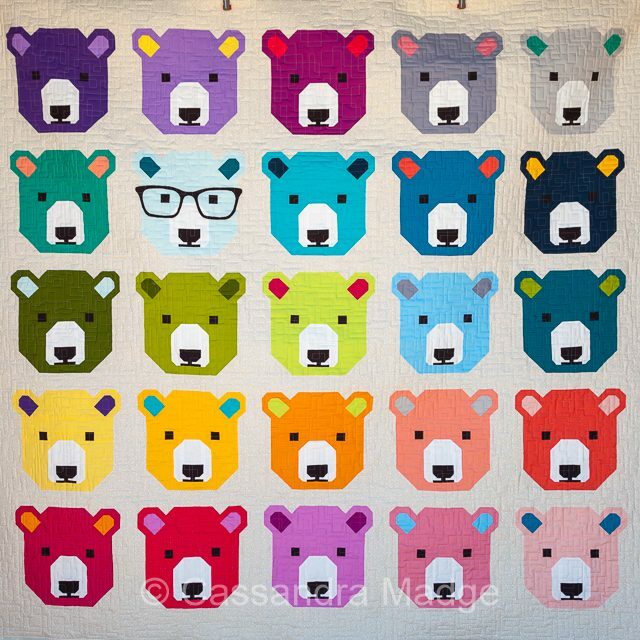 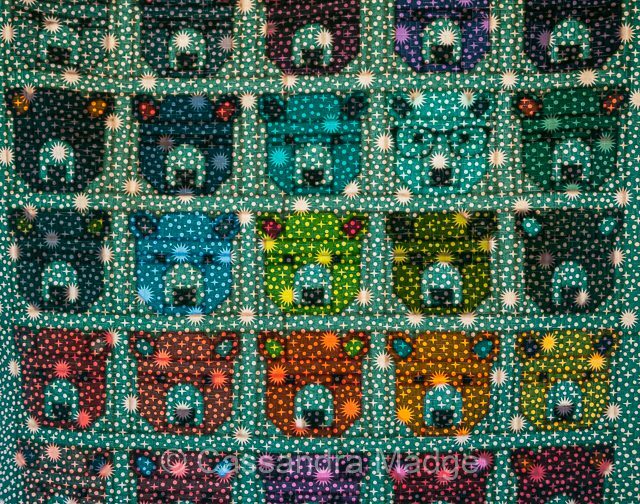 It was a lot of fun to quilt and I loved all the rainbow of bears as they rolled through the frame. 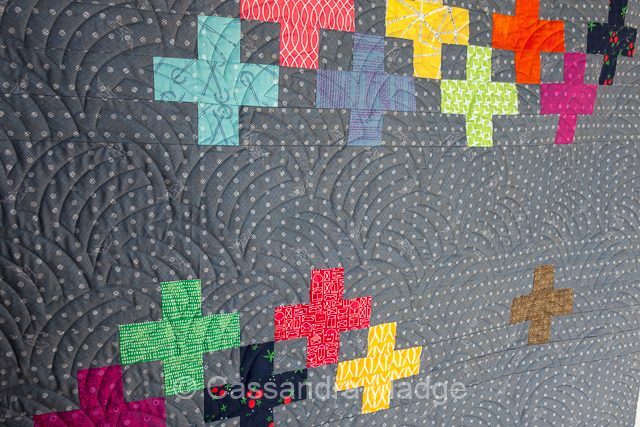 I couldn’t resist the stained glass photo when I was taking pictures of the back – the different colours shining through the teal star backing print. 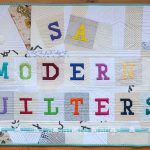 On the Plus Side is from Make Modern magazine – this quilt was lovingly stitched by Katrina, a fellow SA Modern Quilters member. 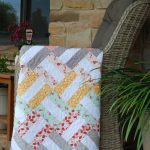 She did such a lovely job, I can’t wait to see what she makes next! 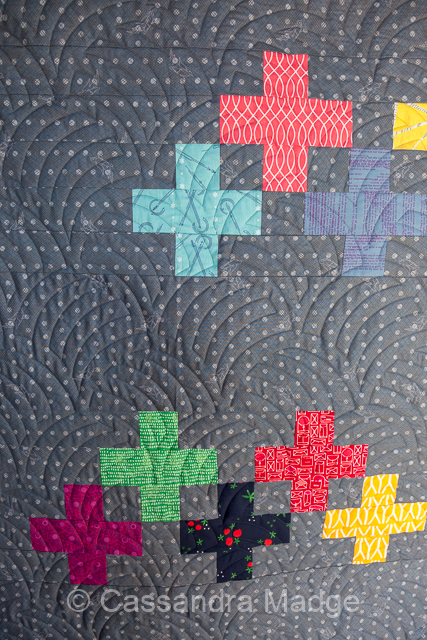 Katrina and I chose to use a variation on a traditional Baptist Fan type pattern for the quilting, called Woven Wind. 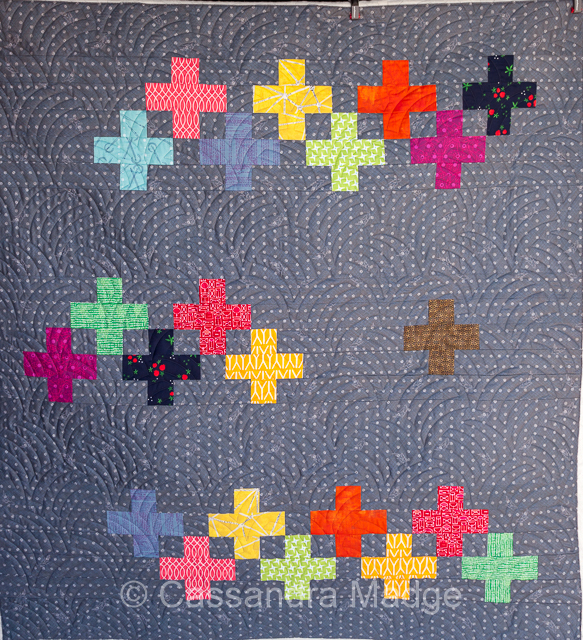 I just love the texture that it creates without detracting from the quilt pattern and fabric selections. 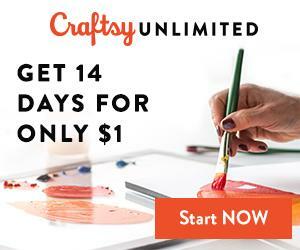 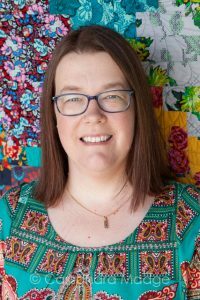 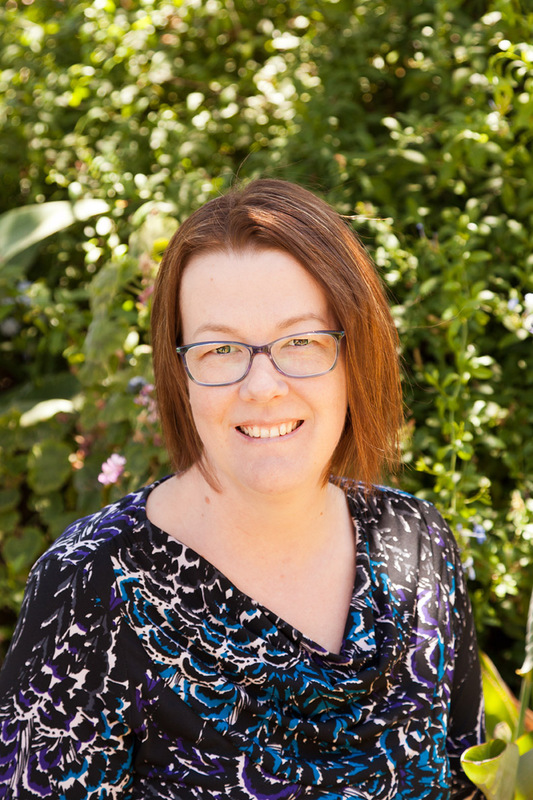 To see my quilting portfolio, click HERE for the Juicy Quilting website!